Pro Paver Clean and Seal has been Tampa Bay’s premier paver sealing company since 2003. Pro Paver Clean and Seal has sealed over 2.5 million square feet of pavers with the Seal N Lock system. It’s a great sealer and we’re not going to switch back and forth trying to find a cheaper one! We work hard to get your pavers looking as good or better than new. Since every paver project is different, we treat each one as unique. Whether sealing a new installation or old pavers or completely stripping old failed sealer off and restoring the pavers, we take the time to make sure you are 100% satisfied with the job. You can count on us being around when your pool deck or driveway need a refresher. If you are looking for the cheapest cost and the lowest price is your only goal, we may not be the right company to call for your project. 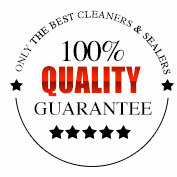 We make every effort to give you the best quality and value for your money and firmly believe that you get what you pay for. We get many calls about botched paver sealing jobs by contractors and the customer has to pay again to fix the shoddy work by having the paver sealer stripped and re-sealed correctly. Often times, your paver installer will send out their lowest paid employee to do the sealing work who has little or no training on correct procedures. At Pro Paver Clean and Seal you get trained pros on every job. Contractors that charge a cheap price may be using substandard sealers, or even the same sealer as we do, but watered down to save them money. We also catch contractors buying cheaper sealers and mixing them up in Seal ‘N Lock buckets. Ask for a receipt of purchase from your contractor so you don’t get burned with a cheaper product. (You know, one “contractor” actually got caught using transmission fluid as a sealer?) Ask yourself “why is this guy so much cheaper?” Research and due diligence can save you a lot of headaches and money later. We are properly licensed by the Pinellas County Construction Licensing Board as Specialty Painters. Pinellas County requires a contractor’s license forpaver sealing. Many (if not most) of our competitors ignore this. It’s a good idea for you to check licensing at www.pcclb.org. We encourage you to use a licensed contractor for any project you undertake at your home. Worker’s Comp coverage on all employees. One man operations can have exemptions from worker’s comp, but any employee or helper they have with them has to have workers comp. You could be financially liable for any injuries that happen to someone on your property. Why take the chance? Ask for certificates and then call to verify the coverage is effect. We do what we say in the time we say and for the price we say. How many contractors have you had that give you a bill for a higher amount than agreed upon? If we under bid a project, it’s our loss, not yours! No surprises. We have hundreds of satisfied paver sealing customers and would be happy to provide a list of references in your area. Angies List Super Service award 2011, 2012, 2013, 2014, 2016, 2017. Listed as Angies List Best Contractor in Tampa Bay for 2013. Only 5% of companies listed on Angies List get the Super Service award, so yes, it makes us feel good that so many trust us.